David Bell began his daffodil career working for daffodil raiser George Lewis in Christchurch. 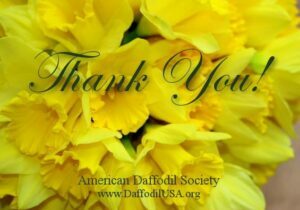 He later took over Mr. Lewis’s business and became a leader in daffodil breeding, particularly of yellow/pink cultivars and in the doubles of the day. On his death, the bulbs went to his friend, Graham Shanks. The bulb collection has now been purchased by Stuart and June MacLachlan of Leeston who continue to trade as David Bell Daffodils.